The much vaunted Google Glass project took a bow in its first television appearance recently, with the internet connected spectacles accompanying a Google employee to an interview. 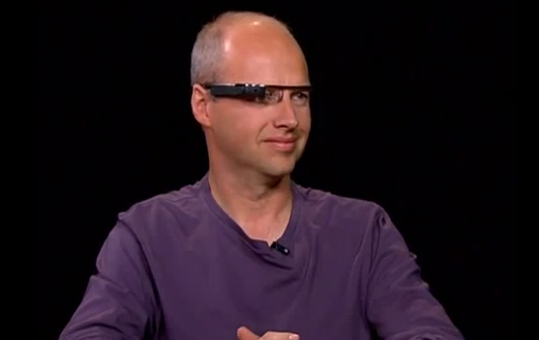 Google Fellow and Stanford Professor Sebastian Thrun took the highly anticipated hardware into his interview with Charlie Rose, using the specs to take and upload a photo of the man himself all whilst sat there. No computer, not even a smartphone, was needed. If you want to live in the future right now, then we just took a step closer. Thrun speculated that Project Glass may actually have uses other than the standard augmented reality tricks that Google showed in a recent video. According to the professor, the specs may be more useful as a way of sharing our lives with friends and family, allowing the capture of moments in both video and still photos that would normally pass us by. Whether moments are lost because we simply didn’t realize their importance, or rather that we just could not get a camera ready quick enough, Google’s project Glass has the potential to keep everything at the touch of a button. Whether that’s a good thing or not will very much depend on your own views on piracy. Or your paranoia. Google’s Project Glass is something that we’ve been hoping for ever since we saw Robocop, but we just never realized it. The project which aims to bring spectacles with built-in computers to the faces of us all is still in its very early days, but as is always the case with Google, we have a sneaky suspicion that the search giant may just be able to pull the thing off. We don’t really know that much about Google’s project Glass right now, other than what we have already seen in the company’s sneak peak video, and we suspect most of that isn’t actually real just yet. What the video did do though, was to pique our interest somewhat, leaving us wondering just what kinds of things could be possible when our specs are recording everything that is going on, and then have the ability to interact with the internet at the same time.